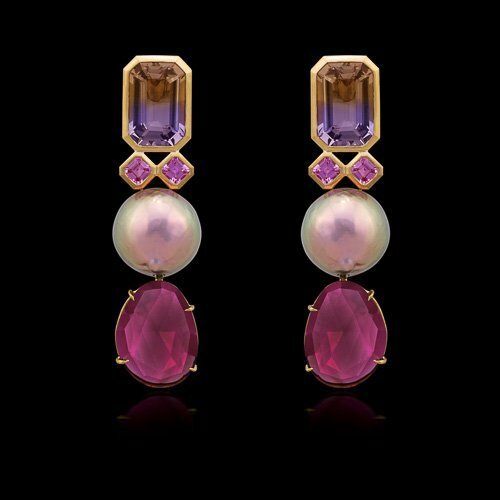 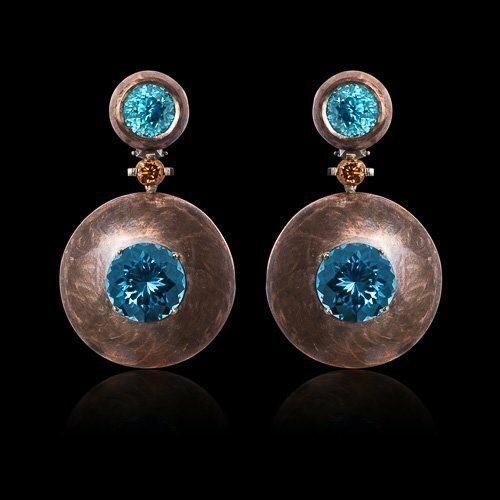 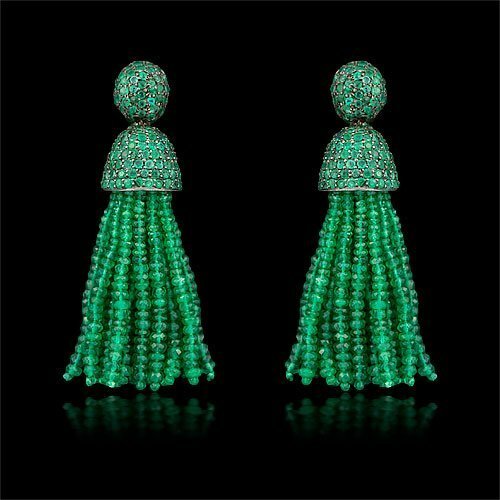 These outstanding Award winning earrings create a “through the looking glass” mood. 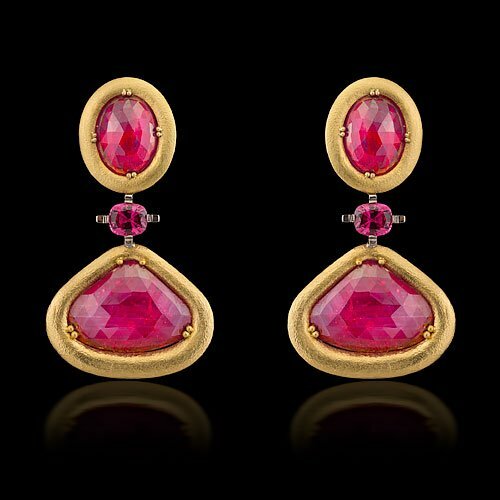 Peer through the natural rock crystal to the faceted rubellite tablets. 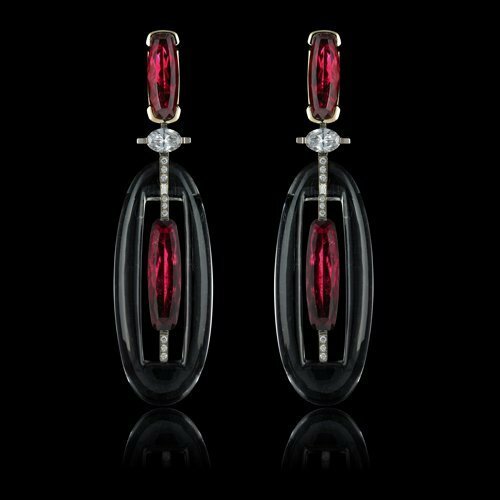 White diamonds reflect and accent this marriage of dark and light.